Give-Away, Here are a couple of the 4-6 photos you will have a choice of. 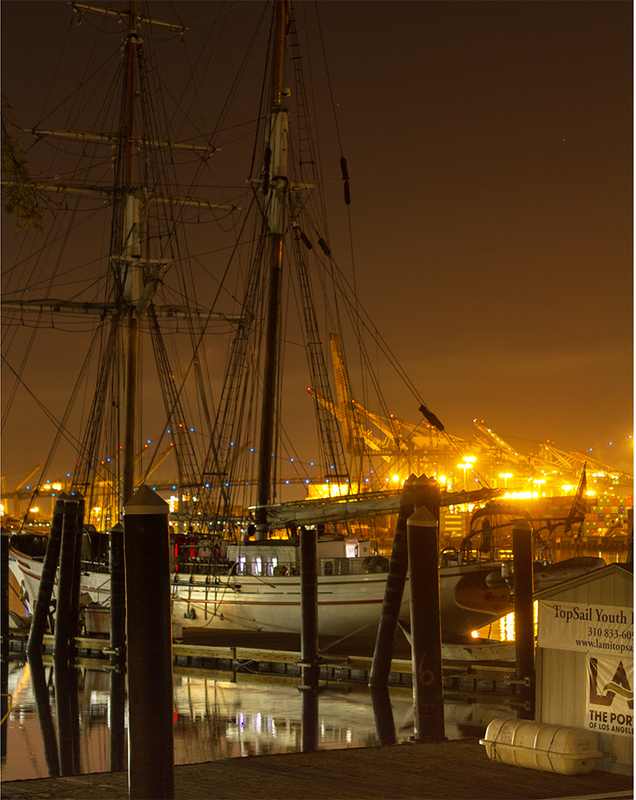 I went out last night and shot the Ports of Call LA Harbor lights. Playing with Light. No flash! Tripod 100 to 500 ISO F/4 to f14 Exposure from .8 sec to 25 seconds. So here is the first one to become a selection photo. 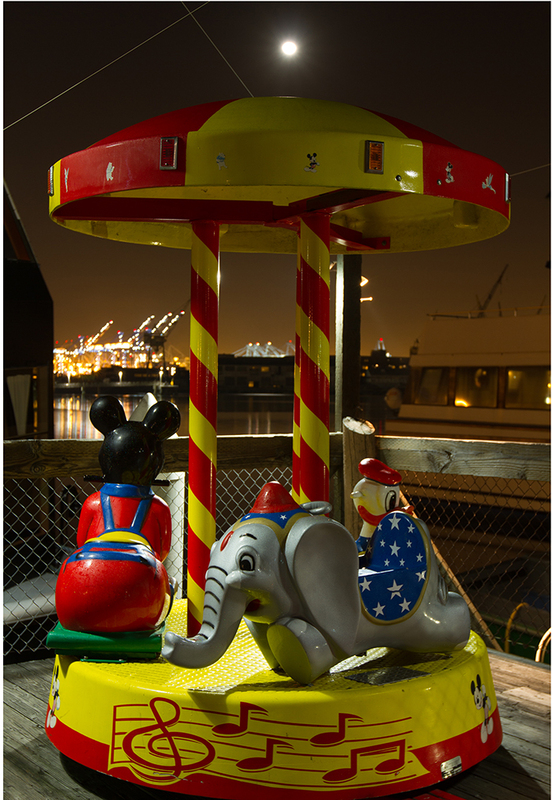 Kiddie Ride, LA Fog Series 2015 I don’t know the colors and towering cranes in the background made a nice mix of light. Moon above the ride. Here is another one from the same area, this one I decided was a keeper when I looked at the shot on the camera last night. Played with it a bit. LAMI Tall Ship in the dark. LA Fog Series 2015. I might make some final adjustments, but these 2 photos will be in the selection. I will try to get the rest up tomorrow, Sunday, night USA PST time. I did not say that friends and family can not enter, because at this point they may be all that enter. At my discretion, I will award 2 prizes if family/friend wins and enough new/different/other people enter. 5-10 people?? It is my interest to give to you the public the prize. My friends and family get to ask me for photos anytime they want! Anyway, it is late but I wanted to get this out tonight. A taste, hope you like them and stay for some more.